In addition to the many delights of Copenhagen, Denmark boasts Helsingor, Hillerod, Odense and Roskilde, towns of rural charm and varied local cultures. Our base for exploration of Denmark was Copenhagen, at the Scandic Hotel Copenhagen. It is conveniently located at Vester SÃ¸gade 6 (+45 33 14 35 35), just 5 minutes from Tivoli Gardens and a few blocks from the Copenhagen central train station. 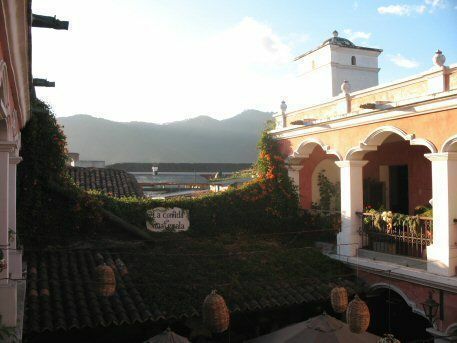 The location is quiet, but with easy access to the central city. Spacious rooms are done in a tasteful, Danish modern style. The complimentary and impressive breakfast, included in rates, consists of several elaborate buffets for guests who prefer Japanese style rice porridge with condiments to Germanic ham, cheese and hearty breads; Swiss cereal and fruit; or an American bacon and eggs meal. You can read more about a Copenhagen, Denmark family vacation in my account. Copenhagen lies in the middle of the east coast of the island of Zealand, largest of the countless islands of Denmark. Funen is the second largest and lies between Zealand and Jutland, the largest province, which rises north from Germany on a peninsula jutting out into the North Sea. From Copenhagen, a combination of bridge and tunnel will take you east across and under the waters of the Ã˜resund to the Swedish city of Malmo, which can be seen from the shores of Helsingor or the ramp arts of Hamlet’s Castle. From there, it’s 300 miles to Stockholm. However, the family with more time can spend two to three days in any of the cities — Helsingor, Hillerod, Odense and Roskilde — that house these special attractions. In fact, spending time outside of the delightful city of Copenhagen will bring visitors closer to the rural heart of the Danish people, who have more time and opportunity to interact with visitors who come meet them in their hometowns. 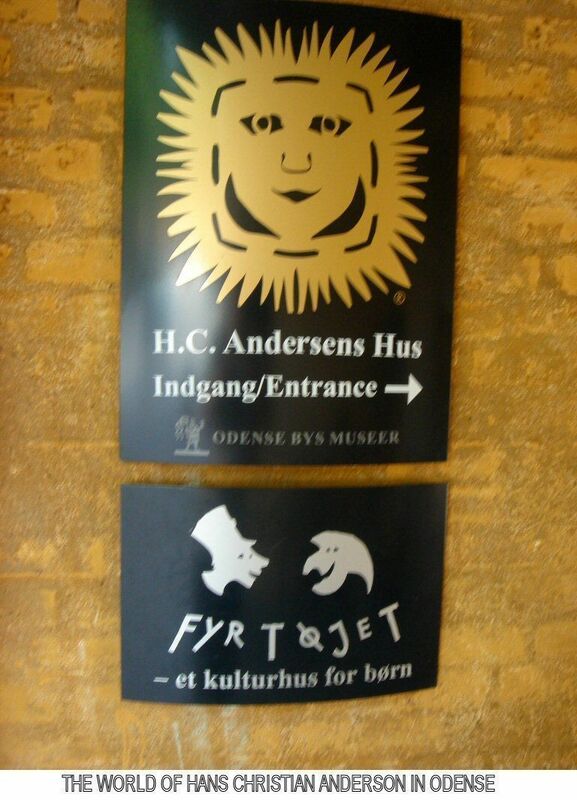 For information about the rest of the country, visit the Visit Denmark tourism office. This remarkable private collection of contemporary fine arts and sculpture is located in the suburban town of HumlebÃ¦k, about a half-hour north by train from Copenhagen, on the way to Helsignor. Because of its location on a beautiful parcel of land on a cliff high above the lovely waters of the Ã˜resund, I think it’s a must-see for any family. The exquisite post-war art collection is totally delightful, beautifully displayed, and the gift shop is a treasure trove of take-home items, including a large collection of housewares from Norman, one of the country’s hottest new exports. A rambling, low lying structure of four attached galleries, Louisiana weaves in and around beautifully landscaped grounds which show off the sculptures of David Smith, Jean Arp, Calder, Miro, Henry Moore and others. There is a children’s art room with instructors for the little ones to make their own modern art. 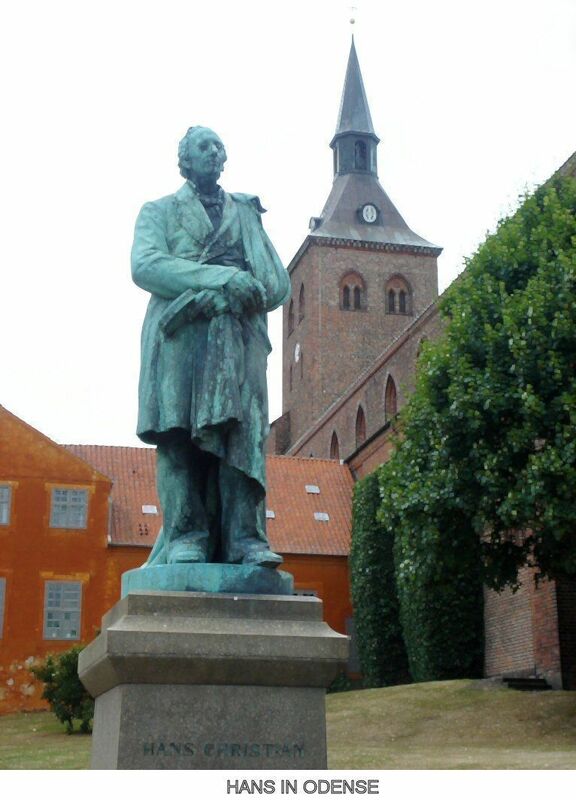 Hans Christian Andersen (1805-1875) is the most prominent Dane in the average tourist’s universe, and you can explore his life and work at his birthplace, the lovely town of Odense just 90 minutes by train from Copenhagen. This is the headquarters of the H.C.Andersen world that produced “The Little Mermaid,” “The Emperor’s New Clothes,” and dozens of beloved fairy tales. His tiny, yellow-stuccoed birthplace, the Hans Christian Andersen House, simple and spare, reflects his impoverished childhood. 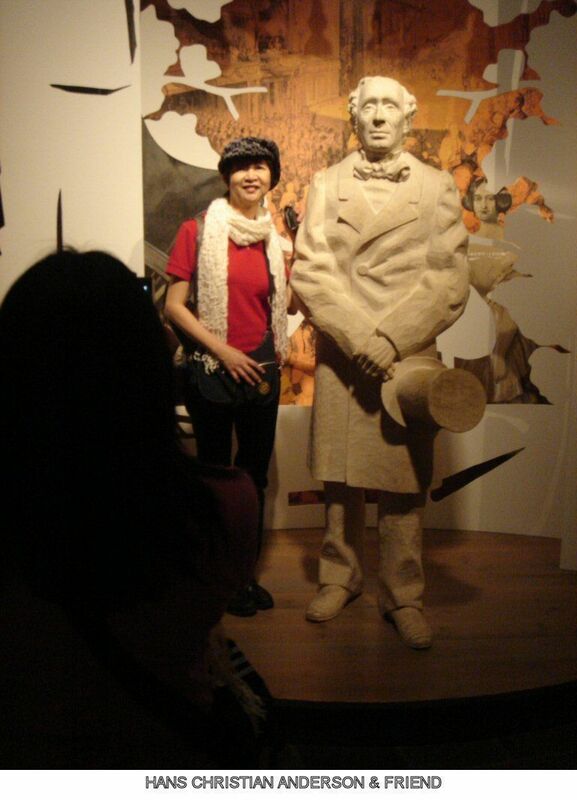 The house is adjacent to the ultimate Hans Christian Andersen Museum which details Andersen’s utterly fascinating life story, richly embellished by photographs and personal memorabilia. 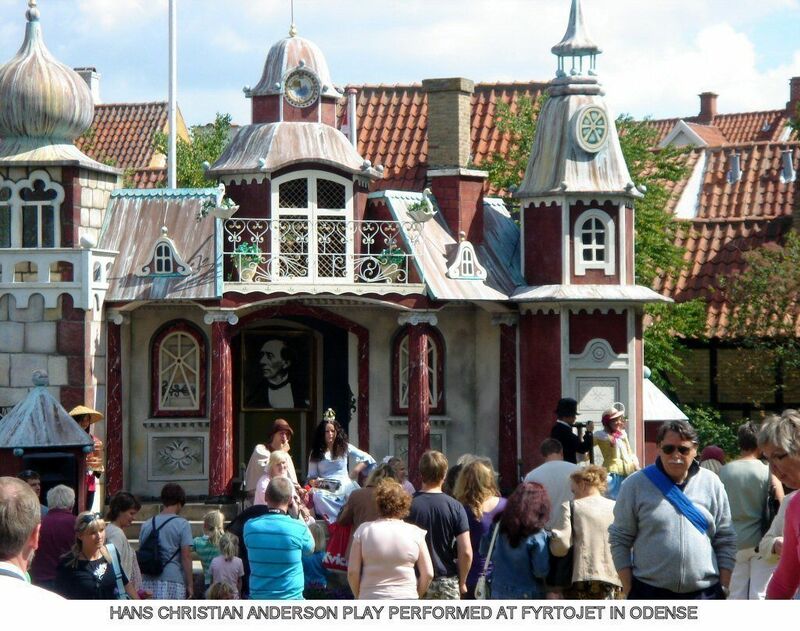 There is an unusual, fairy tale outdoor play area in which actors perform Andersen stories. Three daily shows are hosted by an adult MC in Danish, English and German. If you have time to spend a few days, Odense is a beautiful, typically Danish town with many historic buildings, a popular zoo (reached by ferry) that boasts extensive programming for families (especially weekends), several galleries and a design museum, great shopping and dining. The local Visit Odense tourist office can arrange an escorted walking tour. There are literally dozens of castles in the Danish countryside, and of course several urban palaces within Copenhagen itself. But these two, for their isolated beauty and timeless majesty, are our favorites. 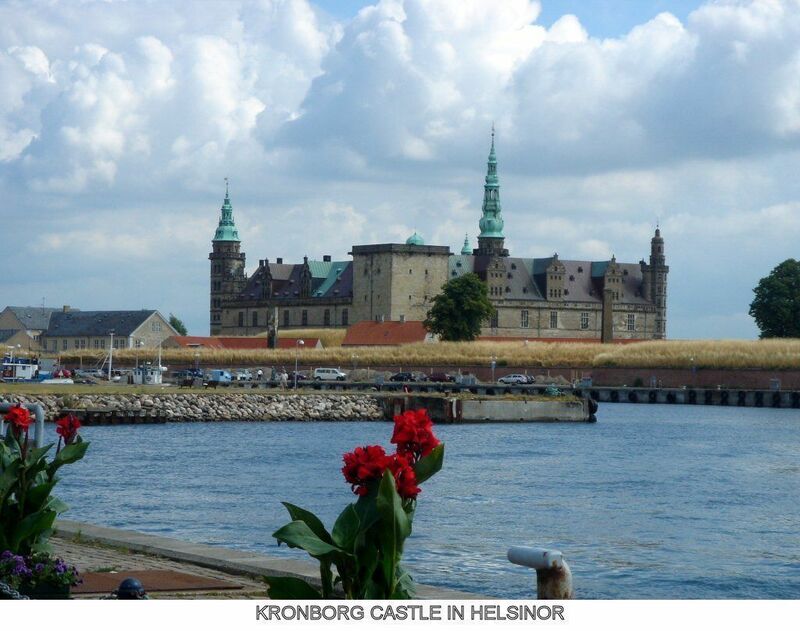 The ghost of Hamlet will lead you 55 minutes north to HelsingÃ¸r, a coastal town known both for its quick ferry service to Helsingborg, Sweden and, more famously, Kronborg Castle, inspiration for Shakespeare’s famous Elsinore Castle. Located at the northeast tip of Zealand, this vast UNESCO World Heritage Site was an imposing and lucrative tollhouse, demanding gold from the many ships that plied the narrow passage between Sweden and Denmark, the main route from the North Sea into the Baltic and on to Russia. The vast castle interior is sparsely furnished, but its mass is so impressive that it is definitely worthy of a visit. Allow a full day to explore the castle, the grounds, enjoy the gourmet outdoor cafÃ© on the premises, and tour the delightful Danish Maritime Museum. It’s very interactive for kids, with lots of nautical gear to play with and memorabilia from many eras of the nation’s seafaring history. Afterwards, walk the narrow lanes of HelsingÃ¸r, a typical Danish town, with a fun Rollespil where, for a fee, kids can enter a “fortified” courtyard, don medieval armor and practice swordplay or theatre. Accessible by a 40-minute S-train ride to Hillerod from Copenhagen, this beautifully restored 17th century castle sits on three islands in the middle of a lake. Between the grounds and the ornate interiors, it’s well worth a trip. Also contained within the structure is the Museum of Natural History. 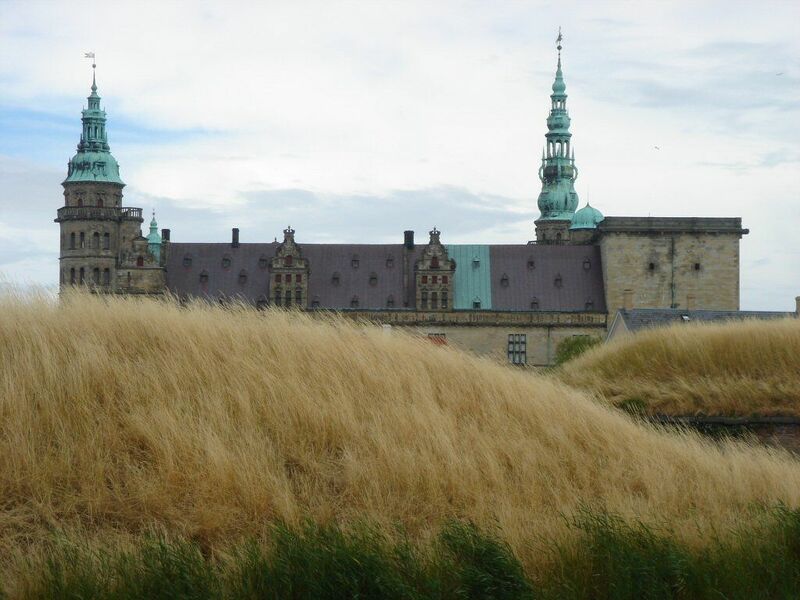 If you want an easy way to see Kronborg, Frederiksborg and Fredensborg, the summer residence of the Royal Family with public gardens, Sightseeing Denmark (+45 32 66 00 00) offers a 7-hour bus tour, with multi-lingual guides, plus a variety of other Copenhagen tour options. It’s probably too much for younger children, but teens will be fine. It’s difficult to think of Scandinavia without thinking about the Vikings, those fierce warriors, explorers, and merchants of olde, most often characterized as pillagers and raiders throughout the British Isles and Northern Europe. However, many Vikings eventually settled and became merchants, traders, and even British kings in the period from the late 8th century through the notable Battle of Hastings in 1066, which ended Anglo-Saxon rule in Britain. The Normans, who won, were of Danish ancestry derived from the Viking settlements in Normandy. Danish Vikings had major influence on British and European history for about two hundred years. These Danish Vikings are not to be confused with Leif Erikson, the rock star of Vikings, who, of Norwegian descent, was raised in Iceland and Greenland, and explored the New World, specifically Newfoundland, well before Christopher Columbus. Located in the town of Roskilde (a 25-minute train ride from Copenhagen), the Viking Ship Museum was established in 1969 following the discovery in the early 1960s of five Viking ships which had been scuttled in the Roskilde Fjord leading to the North Sea as a blockade against invading Norwegians. Stones had been piled on them to form a shallow barrier. The five ships were excavated and restored with the museum adding several reproductions from their active boatyard. Visitors can even join Viking sailing trips in the Roskilde Harbor. There is an active children’s area where kids learn about the Vikings, dress in Viking clothing and explore the reproductions of the original ships. Pillaging and raiding are not part of the curriculum. However, the Viking influence would not have been possible without the famous Viking ship. These are open boats, with high stern and bow points powered mainly by a single square sail, and, when necessary by lots of oars. Their shape ranged from shallow longboats for exploration and battle to more square merchant ships, and they are fascinating to behold. Next Article Next Article Oye, Nicaragua me voy!